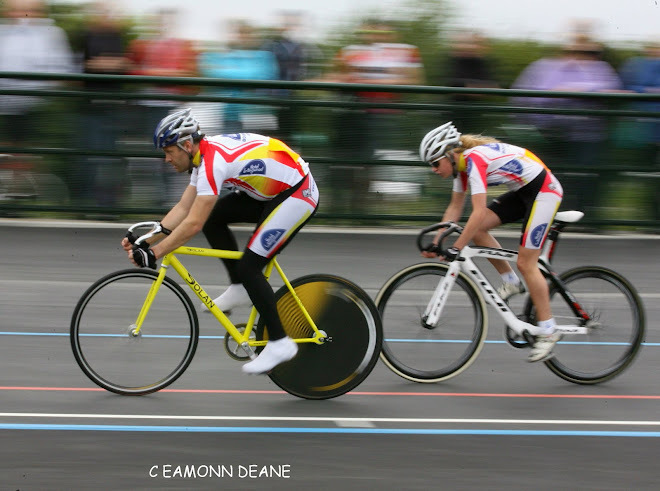 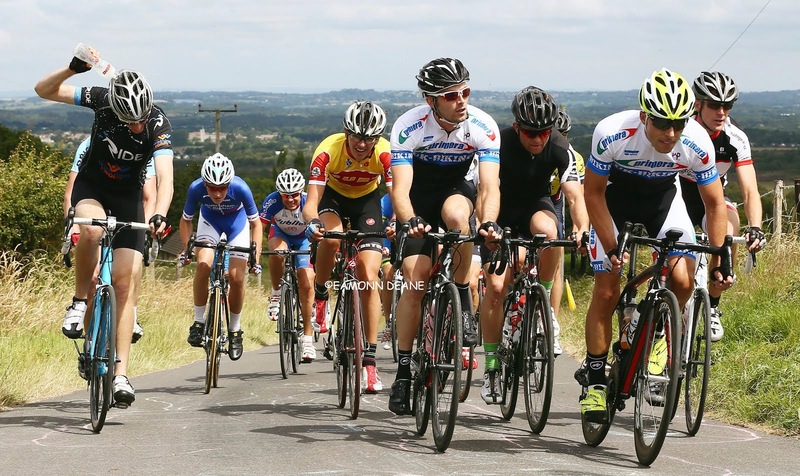 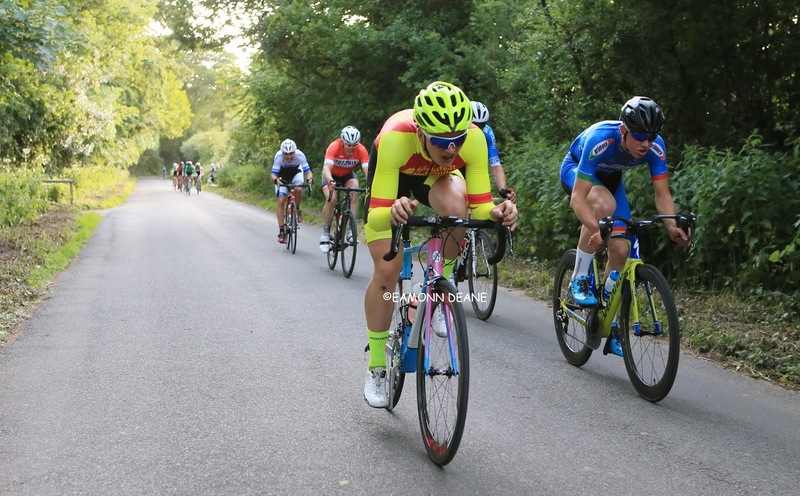 Local Riders,Local Races: Sprint King Horton Takes Moreton Win! 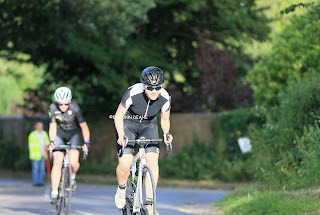 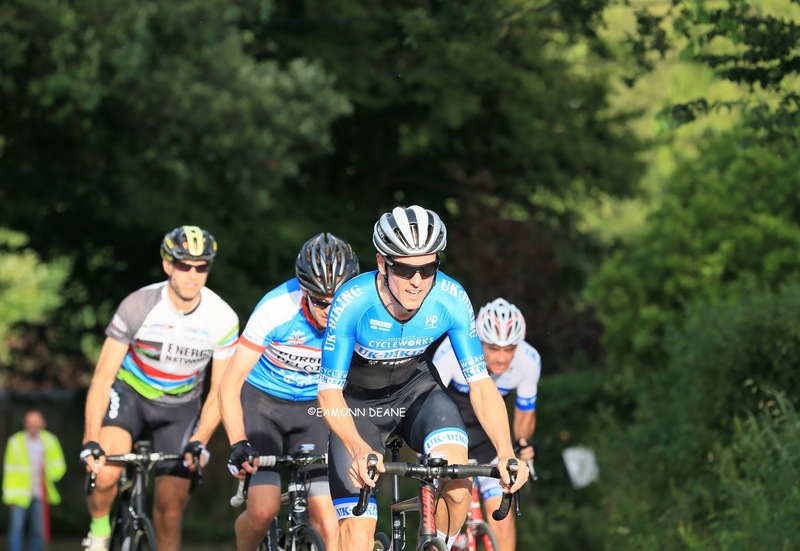 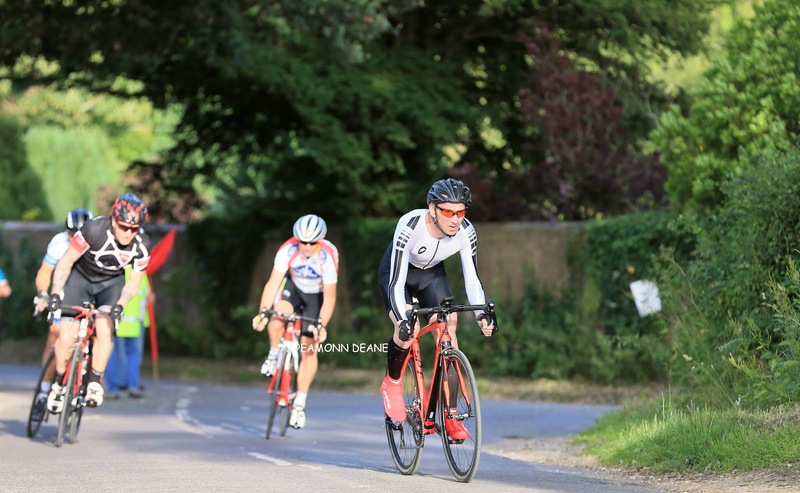 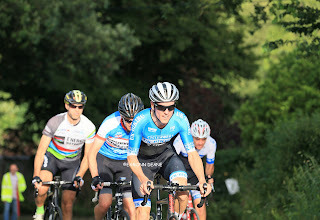 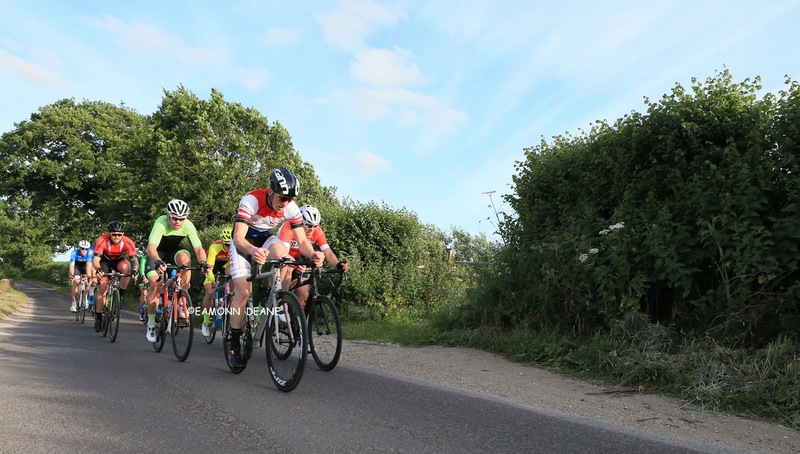 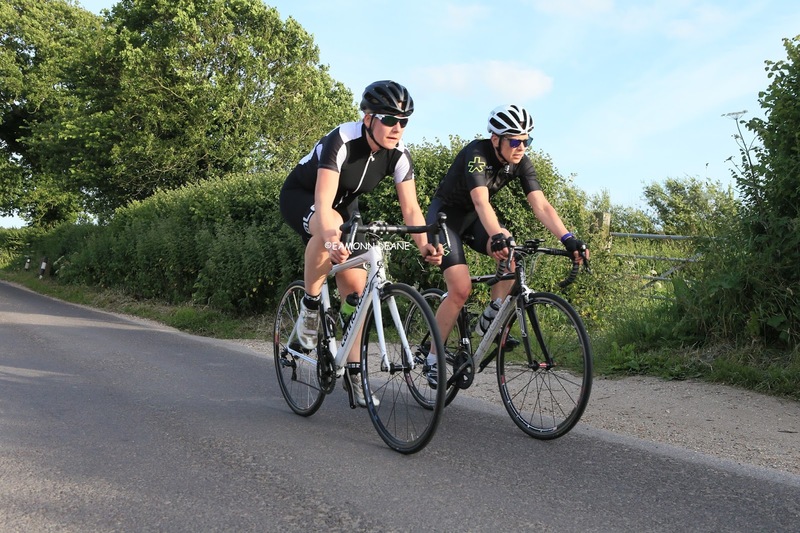 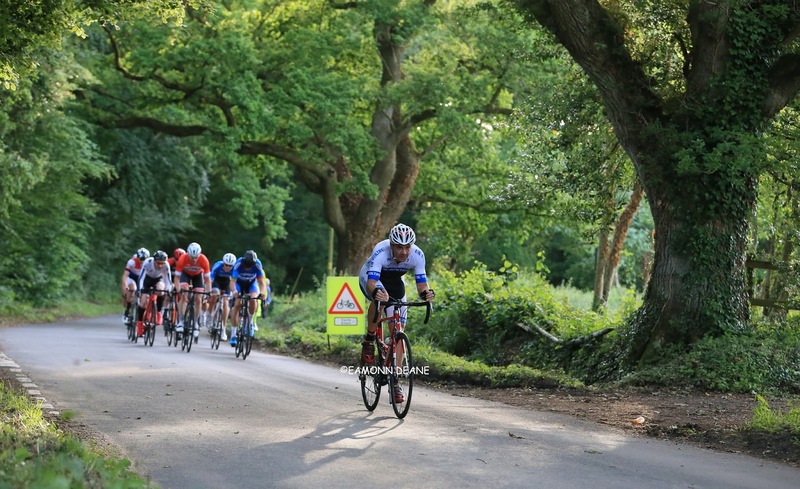 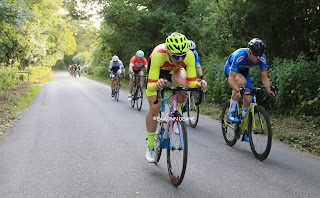 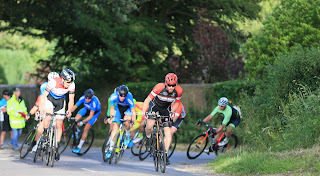 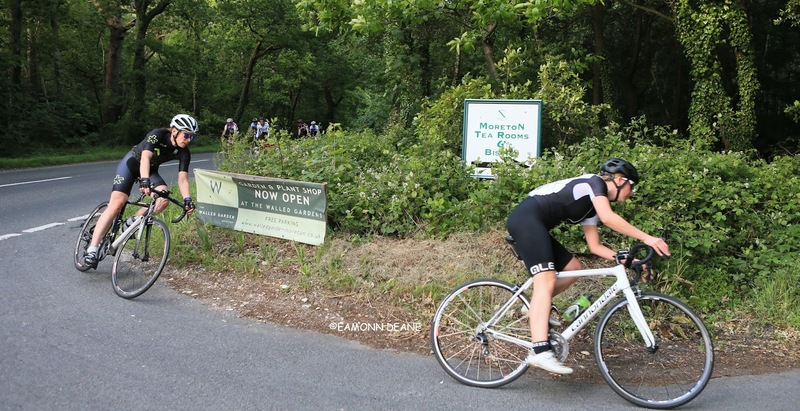 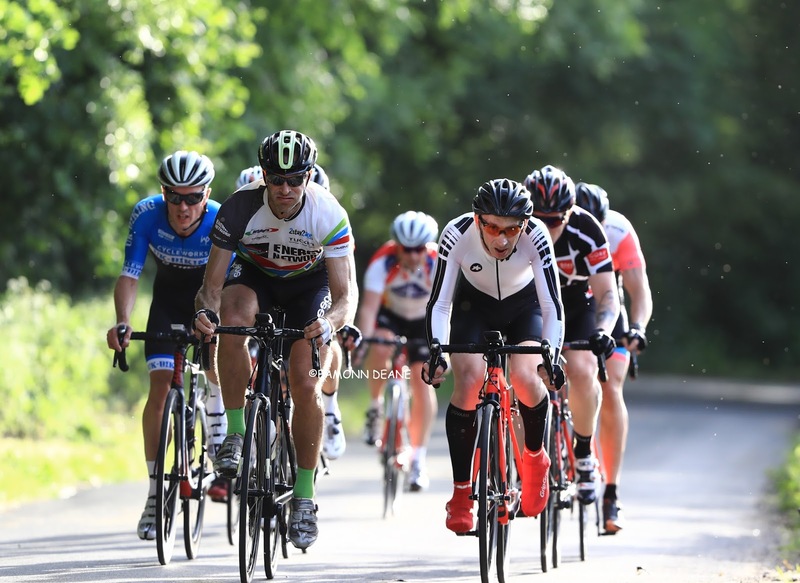 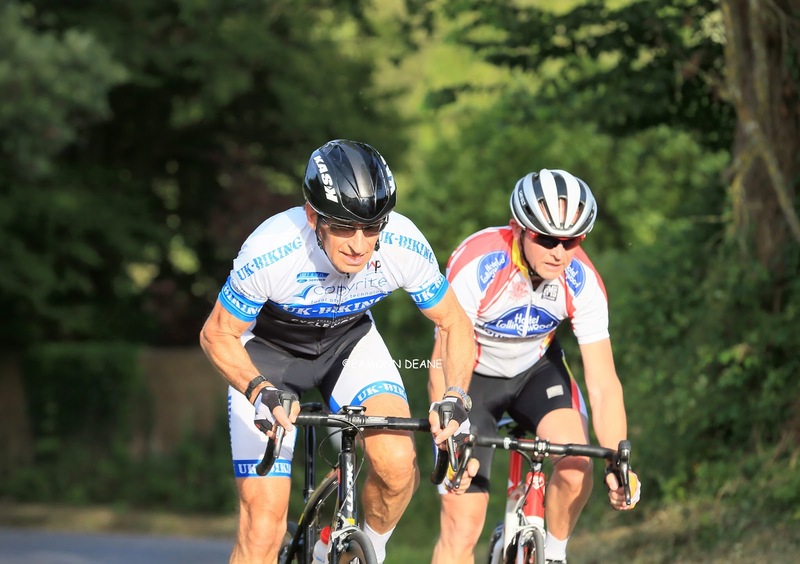 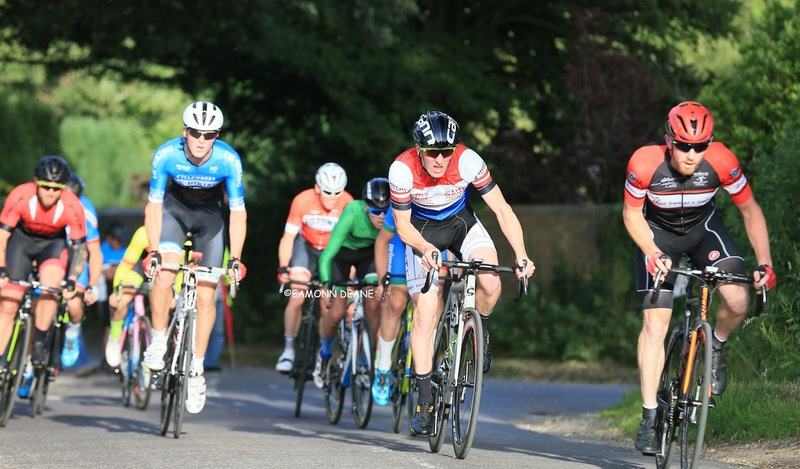 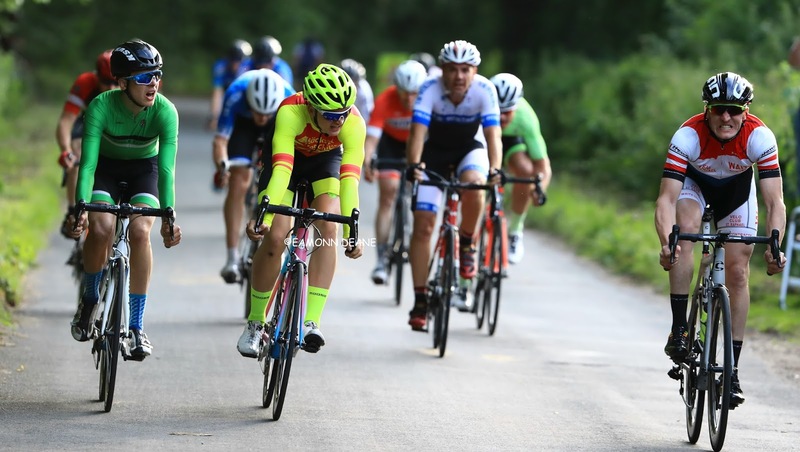 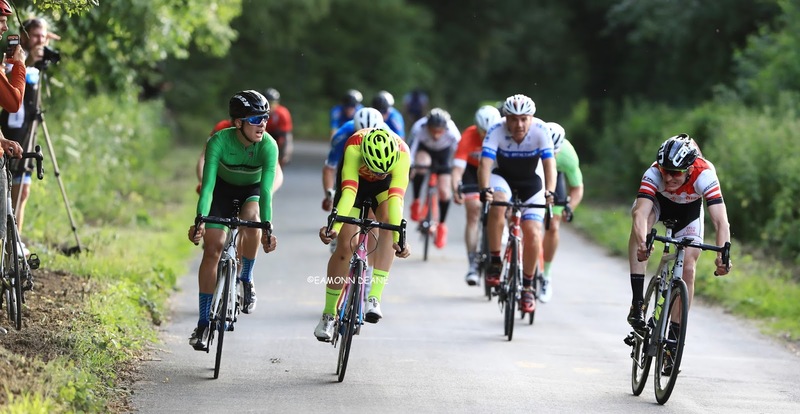 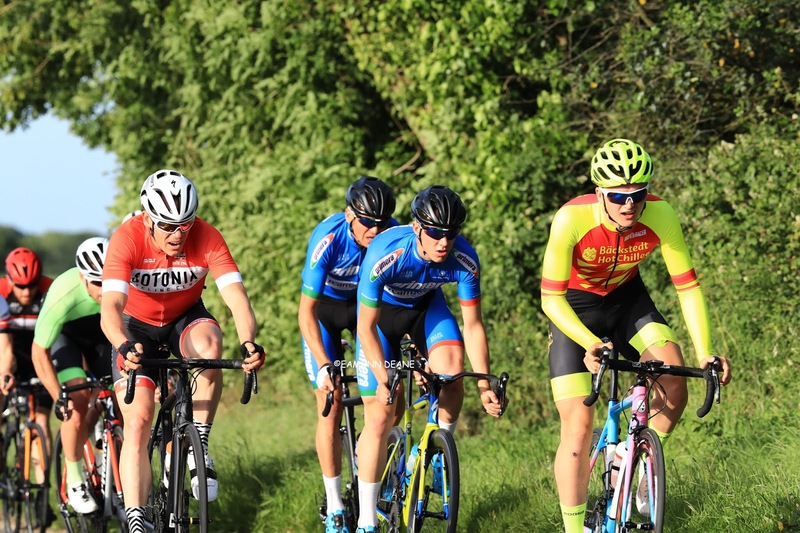 James Horton (VC ST Raphael) got the verdict in a tight three-up sprint to win the latest round of the Bournemouth Cycleworks Moreton series in rural Dorset. It was Hortons second win in 48 hours after success at the Weymouth crit on Tuesday evening. 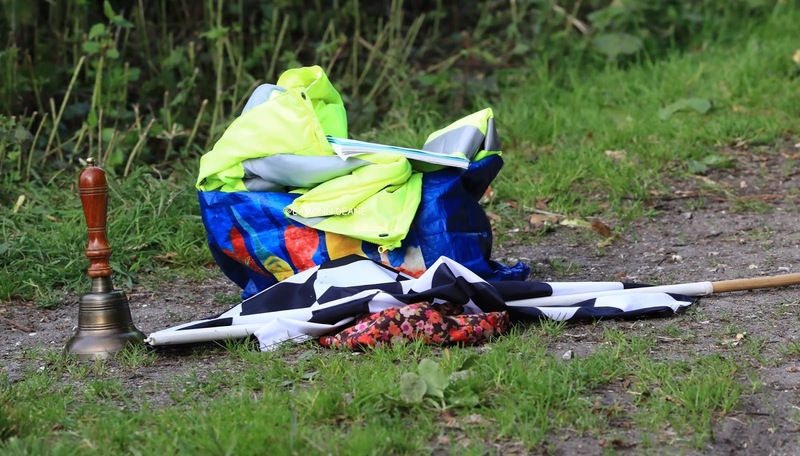 A TT last Sunday, two midweek circuit races, a TT and road race this weekend, he is a competitor. British Cycling Junior academy rider, Charley Calvert (Backstedt Hot chillee) was favourite to take the bunch kick but Max Moyles (Exeter Uni CC), on his right, put him under pressure, allowing Horton to exploit the space on the left to take the narrowest of wins. 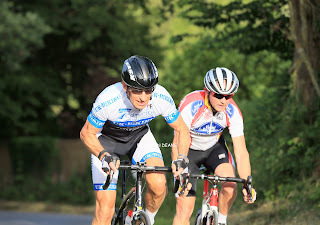 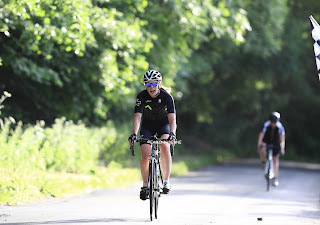 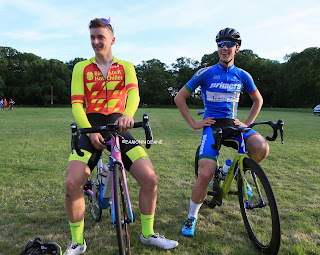 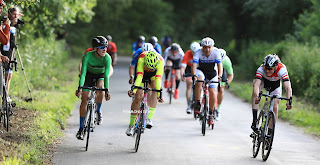 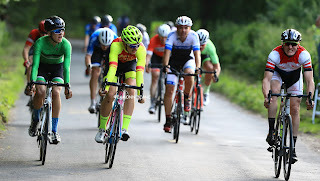 Calvert had chased hard throughout the 1 hour handicap race and with last weeks winner Matt Downie (Primera-Teamjobs) always willing to ride, the field were altogether with 4 laps to go. 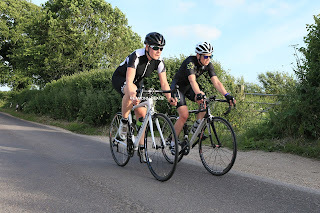 The pair who had shadowed each other all night, tried to split it up repeatedly but could not get away, the wind on the main road always a deterrant. 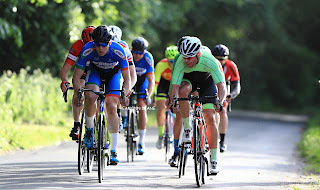 Into the last lap, Downie got stuck on the front, a mistake track rider Calvert was never going to make, he was destined to be swamped, first by Calvert and then the impressive Moyles who pressured Calvert all the way to the line. 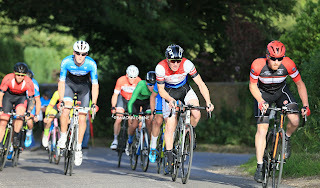 Horton came late and made the most of the clear road to take a notable sprint win. 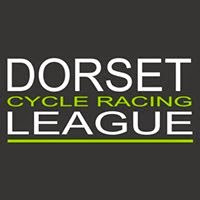 Lora White (Hub CC) had a race long tussle with the fast improving Emma Needham (CC Weymouth) in the womens race but pulled clear to add another win to her tally.